According to recent surveys from The Transit Wire and Mass Transit, cash and cash handling costs are a significant problem for transport authorities, fare collection teams, and riders. 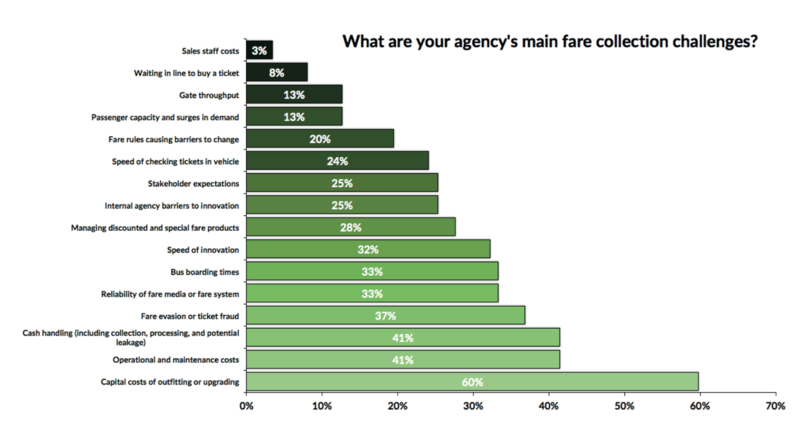 In the Mass Transit survey on the Future of Fare Collection, Cash handling and operating costs were highlighted as a top concern. In fact, it was the second-biggest challenge outlined by those who took the survey with 69% of respondents flagging it as a challenge which needs to be solved. This sentiment was echoed when The Transit Wire surveyed its audience on the State of Fare Collection. 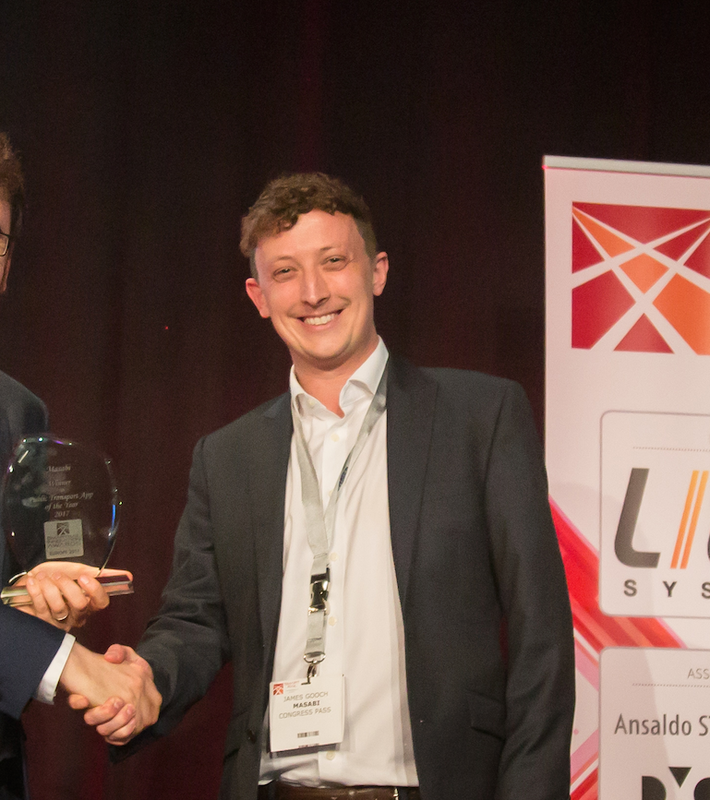 When asked about the challenges agencies currently face, the 2nd biggest challenge was with cash handling. Defined broadly as collection, processing, and potential leakage, some 41% identified this as a main concern. 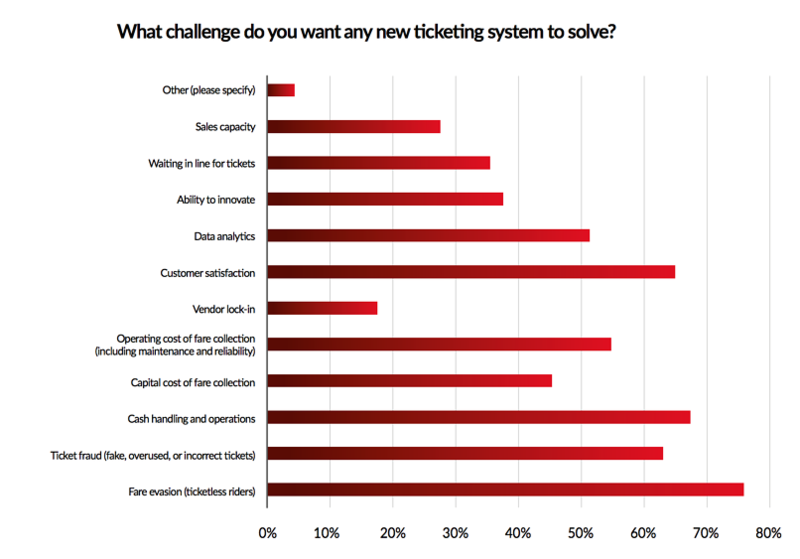 To get a full picture of the challenges of fare payment technology, The Transit Wire then asked agencies to identify the main challenges their passengers faced with existing ticketing. From the agency perspective, customers faced mostly logistical challenges. 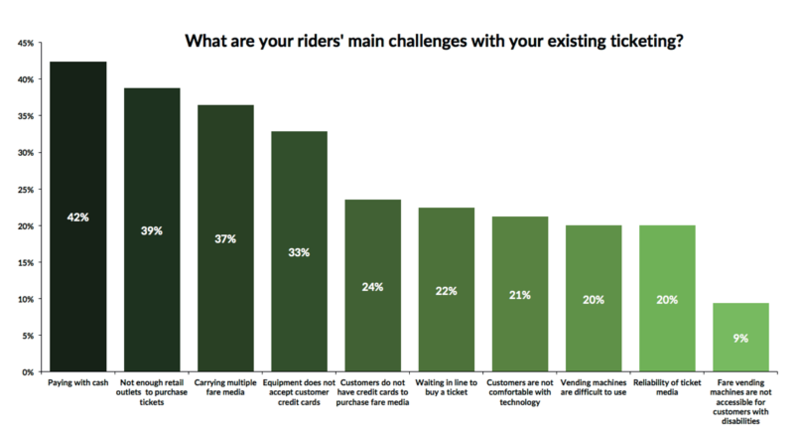 The top concern, with 42% of respondents saying it was the main challenge for riders, was paying with cash, while about 39% said that customers did not have enough retail outlets to purchase tickets. These survey results shed some light on the significant problem of cash and cash handling for North American transit agencies, the fare collection teams who run these systems and the riders who use them. The full Mass Transit survey results are featured in this Mass Transit Research Report: The Future of Fare Collection in Transportation. The full The Transit Wire survey results of this survey are featured in The Transit Wire Research Report: The State of Transit Fare Collection.